Sugarfish has always been my go-to place to get decent sushi without paying a substantial amount of money. One of their signature dishes at Sugarfish is the crab hand roll: crispy nori filled with warm, delicate rice with fresh and delectable crab. It would be only a matter of time that Sugarfish capitalizes on the hand roll concept...and capitalize they did. 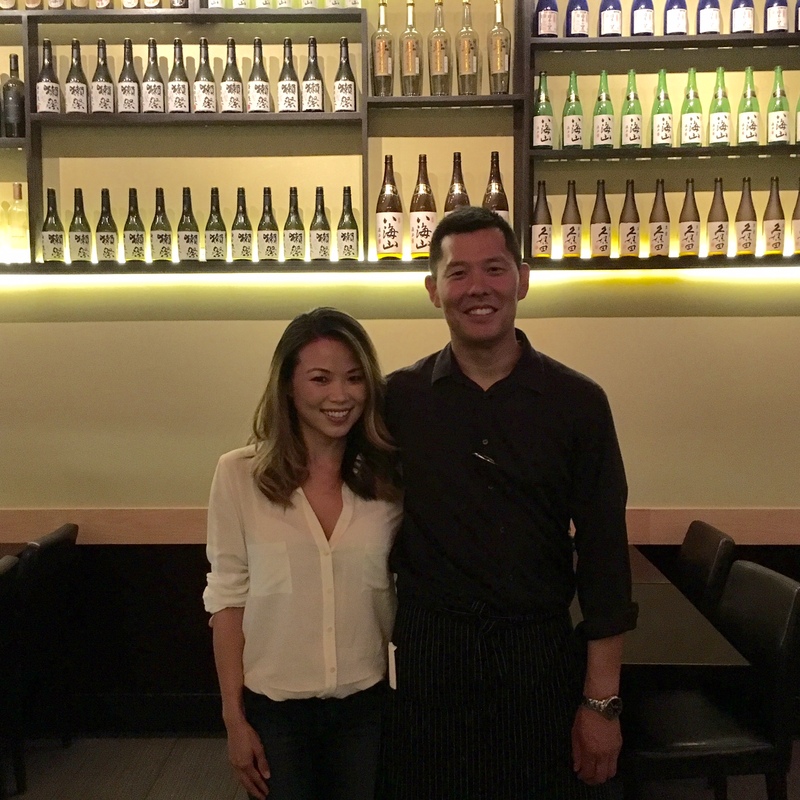 KazuNori is Sugarfish's first hand roll restaurant concept. The first establishment opened in Downtown Los Angeles and Westwood is their second location. It's an easy place to get healthy food that's fairly fast, unless there is a line. Grab a menu and seat yourself! COURSE 1: Toro. The toro was cool and fatty, meshing well with the warm rice and crisp nori. It's a good, standard hand roll, but it's not one of my favorites. COURSE TWO: YELLOWTAIL. As you can see, my hand roll wasn't filled with the yellowtail completely. Nonetheless, it is a good hand roll filled with minced green onion. COURSE THREE: BAY SCALLOP. This handroll is one of my favs. I loved the little pieces of bay scallop. It makes you feel like you're getting a bang for your buck. It's mixed in with some fish roe to give it a bit more texture. The scallop is sweet and fresh. MY FAVORITE DISH. COURSE FOUR: CRAB. Of course, my favorite has to be the one Sugarfish is famous for: the blue crab hand roll. It's fresh, sweet, delicious and full of yummy crab. How can you go wrong with that? COURSE FIVE: LOBSTER. This is a good hand roll. The lobster was shredded into chunks and you definitely can taste that delicious crustacean. It still doesn't top the crab hand roll though. 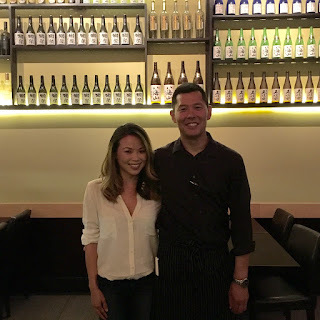 Overall, KazuNori is a great semi-fast food spot that's healthy and delicious. I like that it's easy and there's no fuss. It's straightforward and you know what you're paying for. Parking can be difficult sometimes since it is in Westwood (it's near the Whole Foods so you can possibly park there, do a bit of grocery shopping and grab some KazuNori while you're at it). There is an automatic 16% gratuity added to your bill, so be aware! 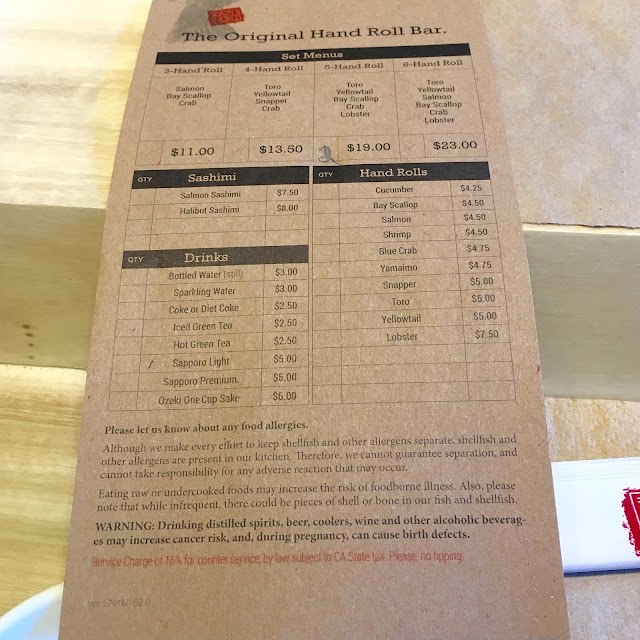 Also, KazuNori is pretty smart in how they decided to run the restaurant: people seat themselves (less overhead to pay for a hostess), the sushi chef serves your hand roll on a paper tray (so less clean up), and you pay at the kiosk when you're done! Easy breezy!